The UK’s Marine Accident Investigation Branch (MAIB) has today published its final report into two fatal accidents in the 2015-16 edition of the Clipper Round the World Yacht Race, the first in the event’s 20-year history. During the Clipper Round the World Race of 2015/16 while 122 miles west of Porto, Portugal on 4 September 2015, a crew member sustained a fatal injury during an uncontrolled gybe. Later in the same race on 1 April 2016, an untethered crew member was washed overboard from the yacht. The crew member was recovered after one hour and 20 minutes in the water, but never regained consciousness. Both deaths involved crew aboard the UK registered yacht CV21, IchorCoal, and occurred on 4 September 2015 and 1 April 2016. A Clipper Race spokesman said the reasons why these individuals failed to follow their basic training in these incidents will remain unknown and theories are purely speculative. Steve Clinch, Chief Inspector of Marine Accidents, said: ‘While a single employee on board a commercial yacht may provide sufficient company oversight in many circumstances, the special nature of the Clipper Round the World Yacht Race places a huge responsibility on one person to ensure the safety of the yacht and its crew at all times. Clipper Ventures plc has been recommended (2017/107) to review and modify its onboard manning policy and shore-based management procedures so that Clipper yacht skippers are effectively supported, and where appropriate, challenged to ensure safe working practices are maintained continuously on board. A recommendation (2017/108) has also been made to Clipper Ventures plc to complete its review of the risks associated with MOB and recovery, and its development of appropriate control measures to reduce those risks to as low as reasonably practicable. A recommendation (2017/109) has been made to the Royal Yachting Association, World Sailing and British Marine, which is intended to encourage recreational and professional yachtsmen to consider carefully the type of rope used for specific tasks on board their vessels. A recommendation has also been made to Marlow Ropes Ltd (2017/110), the rope manufacturer, aimed at improving the information provided to users on the loss of strength caused by splices, hitches or knots when using high modulus polyethylene rope. The publication of the MAIB report has been welcomed by Clipper Race founder and chairman, Sir Robin Knox-Johnston, who said: ‘The MAIB has an important role in ensuring that the valuable learnings from accidents are shared with the industry to help improve safety. These two fatalities, resulting from two very different incidents, were the first in our long history and are tragic, especially as they were caused primarily through momentary lapses in applying basic safety training. ‘The report acknowledges that we have been proactive to mitigate the risks concerned even further. Safety has been our highest priority since the Clipper Race was established in 1996, amassing huge experience through ten biennial editions, 84 yacht circumnavigations (a cumulative four million nautical miles) with nearly 5000 crew undergoing extensive training. ‘Manning arrangements and shore-based management have been developed to ensure skippers are adequately supported and these will continue to be regularly reviewed. ‘We have developed our current manning levels and qualifications in conjunction with the MCA (Maritime and Coastguard Agency), operating to MCA standards as a minimum and often well in excess. The 11th edition of the Clipper Race will start from the UK in August this year and return in late July 2018. His death occurred on 4 September 2015, a few days into the first stage of the race from London to Rio de Janeiro in the North Atlantic approximately 120 nautical miles west of Porto, on the Portuguese coast. The MAIB report states that the cause of the unexpected and sudden movement of the yacht was the accidental gybes, during which the preventer securing strop failed. This strop had been constructed using high modulus polyethylene rope. An assessment of the preventer arrangement by Clipper had concluded that it was fit for purpose. The strengths of the preventer line, strop and pad-eye were estimated but not documented and no estimate of their expected in service loading had been recorded. A recommendation has been made to Marlow Ropes Ltd, the rope manufacturer, aimed at improving the information provided to users on the loss of strength caused by splices, hitches or knots when using high modulus polyethylene rope. A recommendation has also been made to the Royal Yachting Association, World Sailing and British Marine, which is intended to encourage recreational and professional yachtsmen to consider carefully the type of rope used for specific tasks on board their vessels. Her death happened on 1 April 2016, day 12 of the North Pacific leg from Qingdao in China to Seattle on the west coast of the US, at 39 North, 160 East, approaching the International Date Line. Round-the-world crew member Sarah Young was on deck at night during a storm with wind speeds of more than 40 knots, gusting over 60 knots, following the reduction of sail area to respond to the adverse conditions, when a wave broke over the deck causing her to lose her footing ending up next to the guardrail when a second wave washed her overboard as she was not connected to the boat by her safety tether. The MAIB report states: ‘It is unknown why Sarah did not attach her tether, but it could have been for one or more reasons, including: fatigue, forgetfulness or distraction. The investigation established that the tethering practice on board CV21 was inconsistent. To prevent this there needed to be a robust safety culture built on strong leadership, discipline and effective oversight. In adverse weather crew will perform to the best of their ability in the prevailing conditions when a ‘text-book’ procedure may simply not be practical. 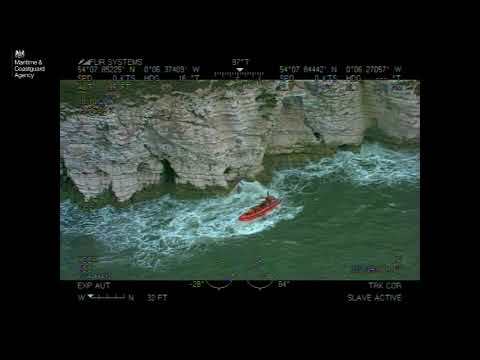 The MAIB acknowledge that the Clipper Race has all these factors under constant review and recommends it should continue to minimise the risks associated with a Man Overboard (MOB) incident. Recovery will always be challenging which is why so much emphasis is placed on the use of MOB drills and safety tethers. The MAIB have attended the Clipper Race’s frequent tests of equipment and procedures prior to these incidents. Sea Survival Training is not actually a requirement. The Clipper Race includes a course run by external providers which incorporates the demonstration of spray hoods as part of the syllabus. 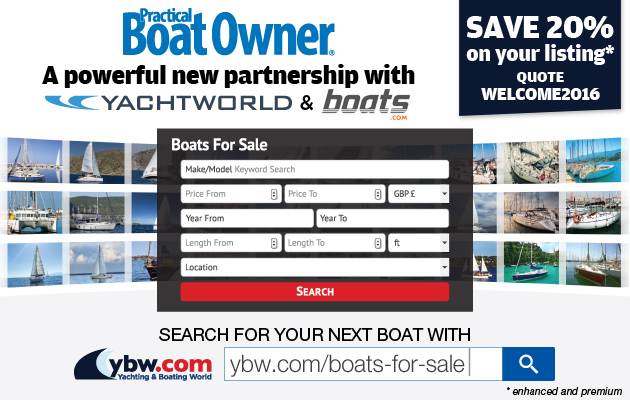 The courses used are those approved by the MCA, RYA and World Sailing. Health and safety considerations implemented by the providers restrict the level of ‘realism’ in terms of clothing and pool temperatures, but still provide a very valuable insight and practice for crew. The Clipper Race will review further with the providers but it should be noted that the same course is used by professional fishermen, an industry which has suffered 94 fatalities in the last 10 years, 526 people seriously injured, with some 200 boats lost. Click here to find the full report, as published on the MAIB website. AIS devices will be integrated into all lifejackets for the first time during the Clipper 2017-18 Race.